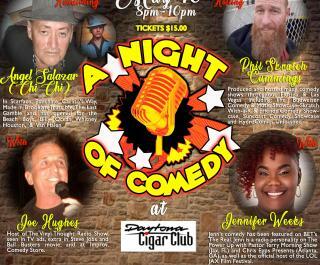 A hilarious night of comedy is coming to Daytona Beach with headliner Angel "Chi Chi" Salazar, a comedian and actor who starred in such movies as Scarface, Carlito's Way, Punchline and many more. Angel has toured the country bringing his off-the-hook antics to many comedy stages. 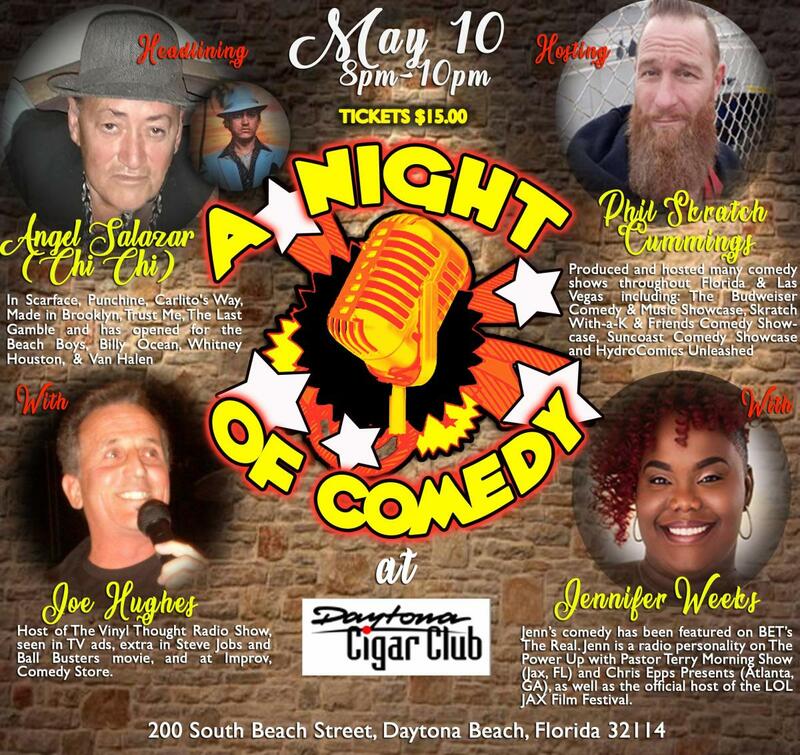 Hosting the show is funny man and FM radio Rock of Daytona's DJ Phill "Skratch" Cummings joined by wildly funny comedians Jennifer Weeks (radio personality seen on BET) and Joe Hughes, who's performed in many comedy clubs, radio host of the VInyl Thouight Show. Don't miss this wild night of comedy!